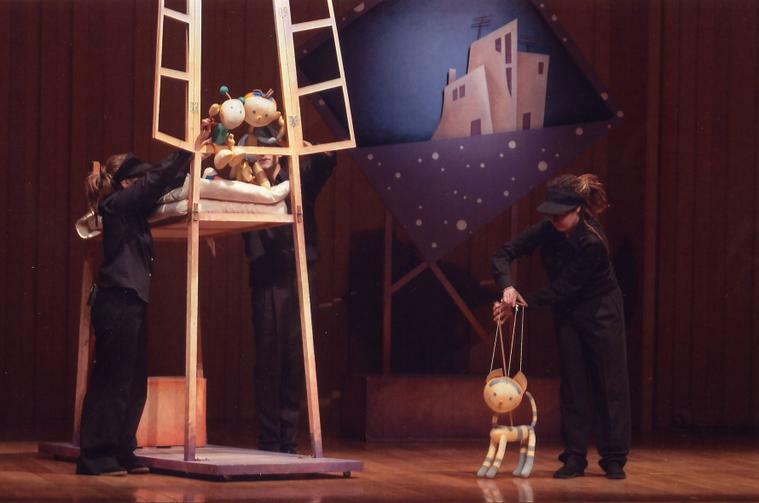 Sessions: December 14 and 17: 10:00 am - 11:30 p.m. - 15:30 p.m.
December 18, 19 and 20: 10:00 p.m. and 11:30 p.m.
Jan, a puppet adventurous, try to help his friend the cricket. So begins a journey of sounds and noises that will lead to a big city, get to a beach, a storm and finally live in the forest desembocaremos desired. The force of thunder, the whistling wind, the lapping of the sea and the birds singing, among others, will become one of the leading travel companions of these two intrepid protagonists. -Awakening the ear-and the various perceptions through a journey of contrasts hearing. -Submit them qualities of sound: timbre, intensity, duration and height. -Learn new repertoire of songs composed specifically for this age.